Staring out at the view from our Liz James studio I realize it is a beautiful June day. June is a month full of weddings and wonderment, and with delightful days like today it is easy to see why. Digging into this season’s palette trends we have picked out a few of our favorites for the summer 2012 wedding season. 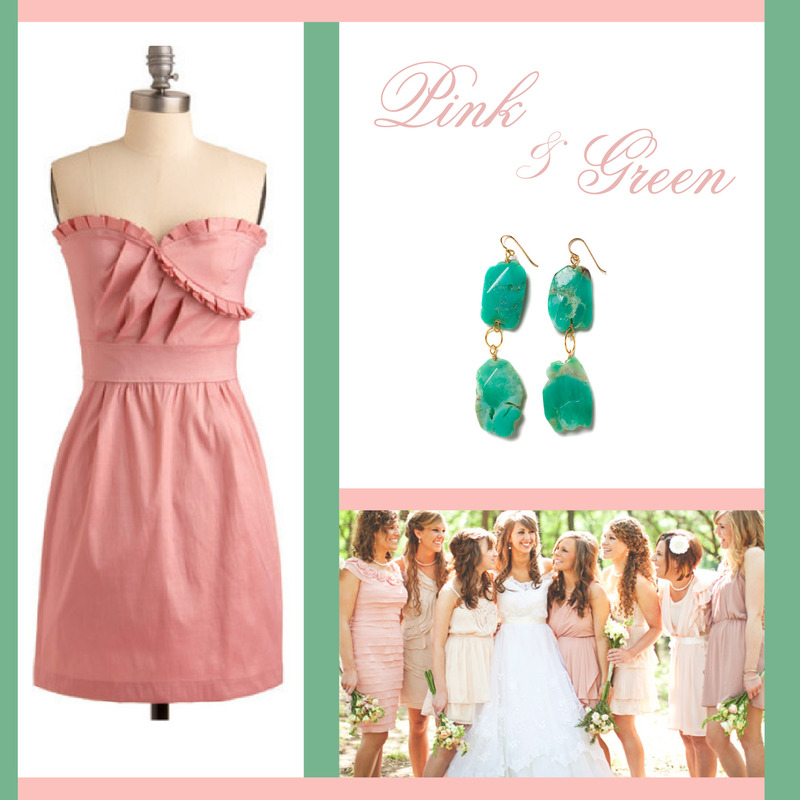 We matched these color schemes with a pair of our LJ jewels perfect for your bridal party! 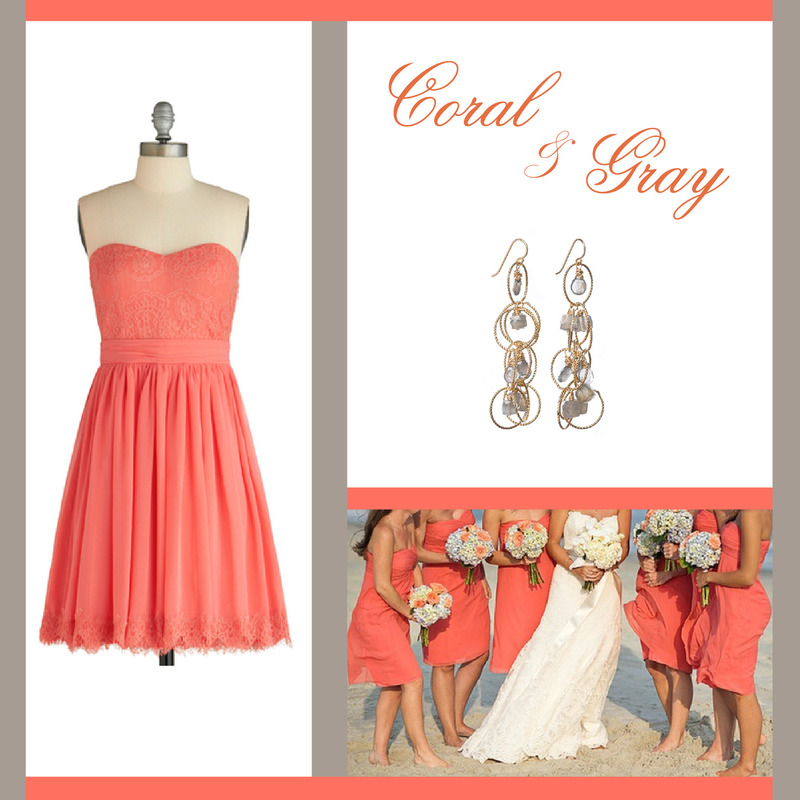 LJ had the pleasure of being a part of the lovely Haley Lowe’s wedding with a gorgeous combination of our Cameron lapis earring and bright coral bridesmaid’s dresses. 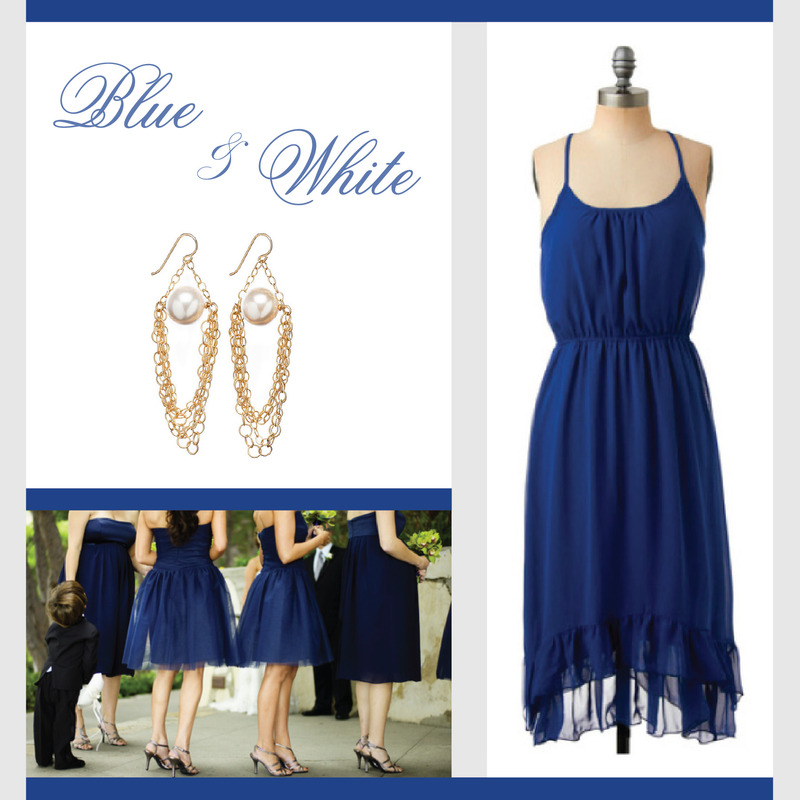 Yet another great pairing perfect for your special day! Are you getting married this year? What are your wedding colors?